Heeft u een vraag voor Modern Inn? Voor reizigers die komen voor de bezienswaardigheden van Hong Kong, is Modern Inn een perfecte keuze. Slechts 0.1 Km verwijderd van het stadscentrum, is dit een goede plek voor gasten om te genieten van de attracties en activiteiten in de stad. Dankzij de praktische locatie liggen alle belangrijke trekpleisters in de buurt van het hotel. Het Modern Inn biedt een onberispelijke service en alle essentiële voorzieningen om reizigers een plezierig verblijf te bieden. Terwijl u verblijft in deze geweldige accommodatie, geniet u van faciliteiten als gratis wi-fi in alle kamers, 24-uur beveiliging, snel in- en uitchecken, bagageopslag, wi-fi in openbare ruimtes. Treed binnen in één van de 5 uitnodigende kamers en ontvlucht de dagelijkse stress met een breed scala aan voorzieningen, zoals plasma tv, draadloos internet (gratis), rookvrije kamers, airconditioning, verwarming. Daarnaast garanderen de talrijke recreatieve mogelijkheden dat u zich tijdens uw verblijf kunt vermaken in het hotel. Geniet van ongeëvenaarde dienstverlening en de prestigieuze uitstraling van het Modern Inn. Let op dat de hotelreceptie dagelijks geopend zal zijn tot 20:00. Voor aankomsten na 20:00, dien een speciaal verzoek formulier in bij het hotel of neem direct contact op met het hotel na het maken van de boeking. The room was okay. It was quite spacious than the other places we stayed in Hong Kong. Even though this was a residential area we had no problems with the elevators. The place was also very quiet so you can really have a good night sleep. Just met the staff during check in which was okay. She just told us the code for the door. The hotel is pleasantly located on 9th floor of Mirador Mansion right in the heart of Tsim Sha Tsui. It is surrounded by MTR exits, bus stops, various shops, and eateries. Therefore finding food and transportation is very easy. Money exchange can be easily found and some of them offer very good rate. The hotel itself is very cosy. The linens and towels are WHITE, so that I know the linens are replaced after the guest check out. The towels are replaced everyday though. I found the room was quite small as it was expected if you stay in Hong Kong. The bed is quite comfortable albeit too small and maybe too hard for most Caucasians. Opening your luggage requires a little bit of juggling if you carry bulky ones. The hot water tap works very well, you do not have to push any thingamagic contraptions just to get hot water. I notified them about my date and time of arrival beforehand and there was a nice lady waiting for our arrival. If you arrive before 9.00 or after 20.00 what you have to do is call the owner's number with the phone provided next to the hotels entrance. A helper will be with you soon. So don't ring the bell or banging on the door! Overall I am very satisfied with Modern Inn, and I highly recommend this hotel for those who seek a place to sleep & bathe only. Otherwise you should find some other hotels which are more posh and more expensive. I like the cleanliness of the room as they clean it everyday. And the water is provided clean. Our stay was okay. The convenience that they provide code for the rooms. No need to bring keys. The water is provided clean. And the room is cleaned everyday. The location is nice and the waiting time for the elevator is not really crowded. this inn was located at a building with other shops which make us difficult to find d inn. last we took a taxi and found d place. outlooks was scary and lift only can fit in 7 person. but inside d hotel was quite clean but very small room. location was super...very near to MRT. For the price, this is a great little hostel. The place is on the ninth floor of Mirador Mansion, right at MRT exits. The building is old. But once you get inside the hostel it's ok in term of safety and cleanliness. Recommend! very good, possibly the best 1-star accommodation ive stayed at in hong kong. definitely value for the money. feels new and modern, coded touch panel entry for all doors was a convenience. shower room size was big enough, a least larger than any others at this price range ive tried. good shower head and pressure with body soap, shampoo and conditioner dispenser. free drinking water and hotpot/ref common use but no microwave that other 1-star accommodations sometimes have but that wasn't a big deal. cable TV had only 1 english channel but it's a smart TV at least that was of use to me. my only grip is that the room isn't cleaned properly each day during my 3 day stay. the sheets were never replaced as well. It has been a pretty long time since I had stayed in Modern Inn. But I still remember how it was convenient and I was satisfied during my stay. 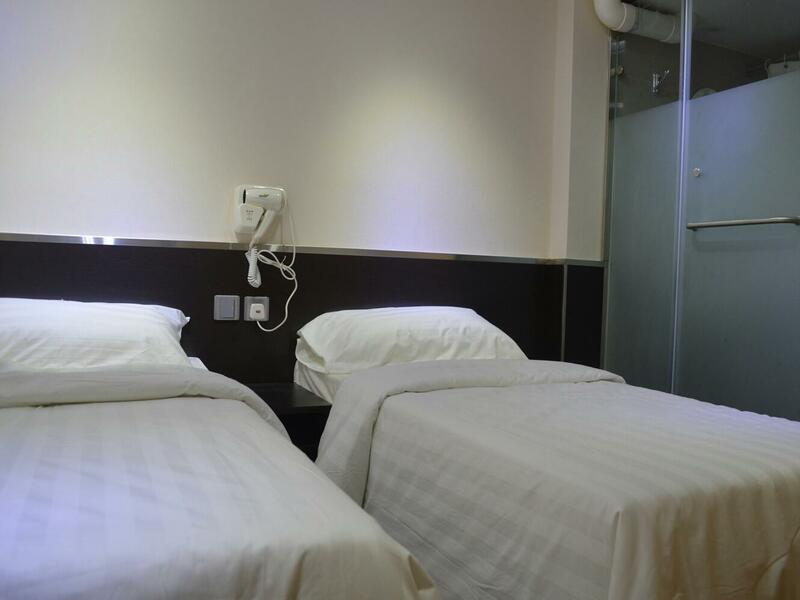 Of course it is not a big hotel nor a serviced residence, but the location is at the heart of Tsim Sha Tsui and the room itself is cozy to relax or do some quick shower when you go out/come in frequently for shopping or city sightseeing. 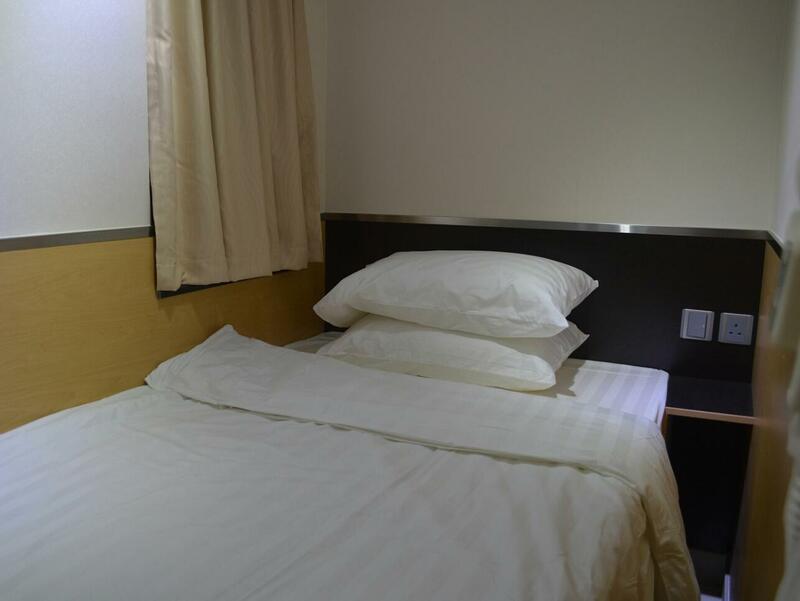 This hotel located at great location & just beside of the MTR station. 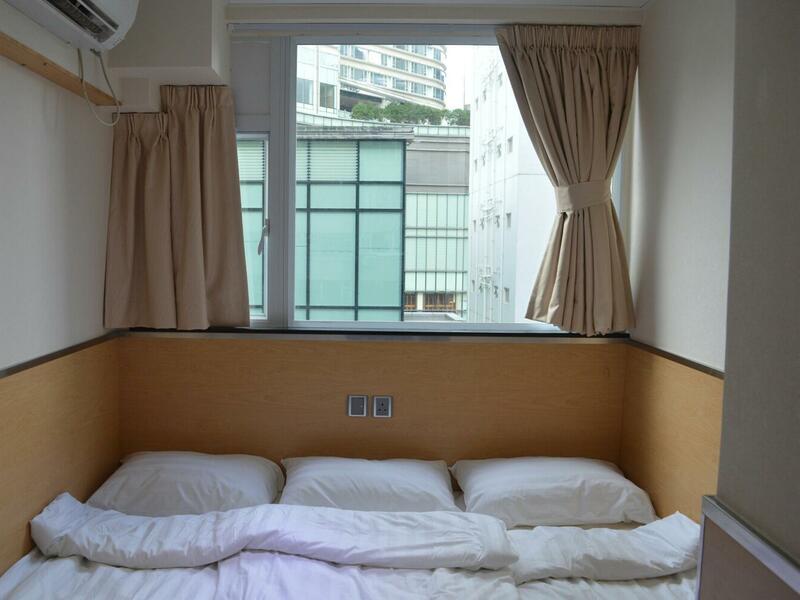 The room in HONG KONG is very small but this hostel room is not super small & it is still ok. This hostel is located at 12th floor & only have 6 rooms. At 12th floor there are few more hostel & motel. It is actually a flat with many type of unit like (house, office, hostel, motel & etc). So far it is still ok to stay at this hostel. Because this hostel is clean & new so I strongly recommend. Entering Mirador Mansions is a bit daunting as it is crowded and confusing (and quite off-putting.) Once you get to Modern Inn that falls away as the hotel is clean, orderly and pleasant. The rooms are small (it is Hong Kong) but comfortable. It was certainly value for money. The location on Nathan Road is great. Got to the "Inn" about 7 PM same day for check in. Saw a sign posted on the door to go to another "hotel" on a different floor for check in. When I arrived there the 1 staff couldn't find my name in the reservation although I gave her a copy of booking confirmation. Waited around until her boss arrived and still there was an issue getting a room. Unprofessional and felt like it was a scam to take money and not get a room. I felt if I wasn't assertive to the "boss" I would have been turned away and there was no room for me. The "Inn" is located in a huge building that is very old and run down. The inside looks like a slum. Elevators do not work between the hours of 12 midnight to 6 AM. Dirty, unhygienic and unsafe. I do not recommend this place to travelers especially women staying alone. Overpriced and difficult to gain access to the room. This hotel is located in midst of crowd Nathan Road Tsim Sha Tsui. It is easy to reach by bus or MTR. Near to tourism attractions such as symphony of lights, avenue of stars, clock tower, Kowloon Park, etc. The room is small, on that time I stayed 3 person. Only can sleep not walk around the room. Very clean, tidy, neat. Everything on its place. So compact. There is potable water you can enjoy, hot water pot to make coffee or tea is also available. The lady is so kind. 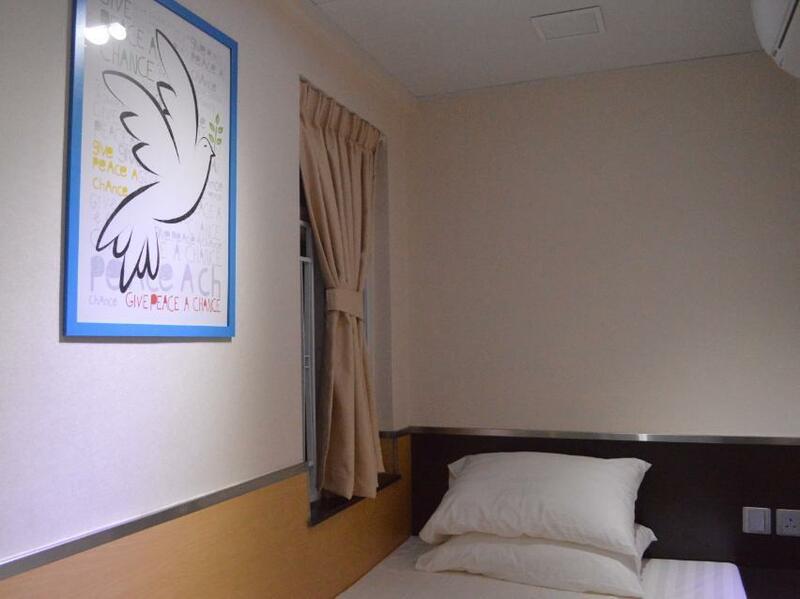 Overall, this hotel is recommended for single traveler or couple that only need to sleep. i stayed 4 nights in here & this is our first time stay here. in the beginning, i was a little bit curious about this inn (as you know most of inn or hostel in Hong Kong was small & a bit dirty). and also the Mirador Mansion quiet dirty and crowded. but once i enter the inn, i can say that modern inn itself was so clean, neat, and compact. we met the host only when we arrived. but my room was cleaned everyday, and they washed the towel too :). there's air conditioner, hair dryer, wifi, hot water, tv, drinking water, coffee. i think i will stay at this inn again when i go to Hong Kong. Location couldn't be better if you want Nathan road and near the action of Kowloon. Small is what it is, but it had just enough to make it ok. The outside building looks a horror, but once you see it is an old apartment made into small hotel rooms that are very modern you get past that. I would stay there again as the location is great. The location was great and very near MTR station and bus stops. Restaurants and fastfoods are near. Foreign exchange is within the building. The room we had was newly renovated and looks and feels clean. Check in was a breeze. The staff however was not always in so we have no one to ask for instructions or tips. She was not there when we checked out and have to call for assistance so we could leave our luggage and do last minute shopping. I tried other guesthouses and their staff are much more courteous. My boyfriend and I stayed here for 3 nights and it completely exceeded our expectations. Given that the room is small, as with most HK accommodations, Modern Inn definitely did a good job in making sure its clients get the bang for their buck. 1. There was a nice lady who seemed to be managing the inn and cleaning the rooms everyday all on her own :) 2. Room space was well-utilized -- the bathroom was surprisingly spacious! 3. All equipment were new, they had electronic locks, and a fast wifi connection 4. Sheets, pillows, bed were all comfy; AC was cold; water in the bathroom is strong and the heater is good 5. Location is prime -- right beside the TST station! We will definitely stay here again. Thanks, Modern Inn! Condition of room are value for money. Clean an comfortable. Very good location near Shopping area, 7-11, MRT station, and food. Everything was great if you don't care about the size of room. We love there. Building is really old and unattractive but the room is newly renovated, new and safe digital lock, good wifi, clean and functional design, comfortable mattress, pillows and blanket, new aircon with heater mode, clean bathroom with shampoo and bath gel, daily clean towels. called owner/manager upon arrival and he promptly came to check me in and gave friendly advice on pass code for main door and room door and wifi password. enough space in the room for luggage, i had a small luggage but those with big luggage may stow it under the bed. room slippers provided. interior design is clever with good use of wall desk (stools were put at the walkway outside the rooms for own collection, didnt realise until the second night) and wall hangers, hair dryer is available too. I stayed for two nights and the first night when I returned after dinner around 10pm, saw two male strangers (south asian) standing at the corridor outside the main door, felt it was unsafe for me to open the main door on my own in their presence so I called modern inn's contact number and the owner/manager promptly arranged a building security guard to came up. The two strangers dispersed and I entered safely under the watchful eye of the security uncle. The only hangup i have is that there are a lot of south asian male tenants/visitors in this building so I took extra precaution to ensure that there is no stranger around whenever i key in the main door passcode. Solo female travellers should take note of this but this is no fault of modern inn. May stay again if I have companion (really love the room design but wary of the discouraging external environment).